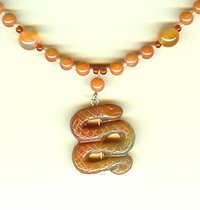 This incredibly detailed snake is carved by hand from translucent carnelian. The artist has taken pains to convey both the look and the texture of the scales on all sides of the pendant. The pendant measures 1-1/4 x 1 x 1/4 inches. 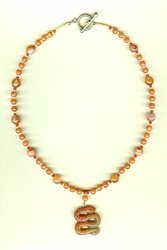 It?s suspended from a 19-1/2 inch strand of carnelian beads. The strand closes with a silver plate over pewter toggle. 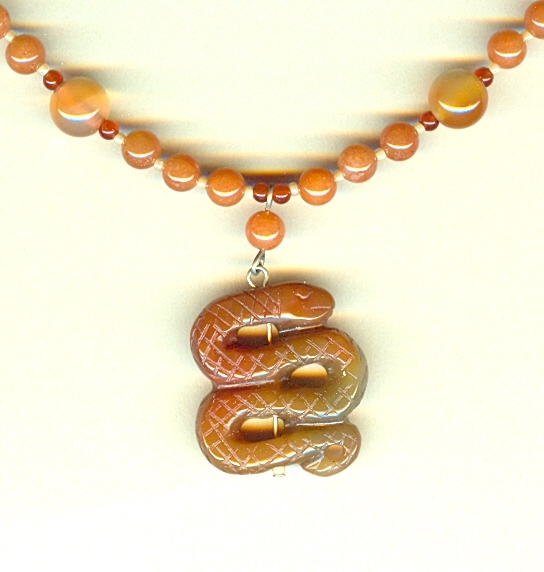 For someone born in the Year of the Snake, this necklace makes a perfect gift.